The current and declining physical activity levels of children is a global concern. Integrating physical activity into the school curriculum may be an effective way not only to improve children’s physical activity levels but also enhance educational outcomes. Given the recent national focus in Australia on improving the literacy levels of children in primary school, and an increasing proportion of time spent on explicitly teaching these skills, integrating physical activity into English could be a viable strategy to improve literacy levels and physical activity at the same time. The aim of this study is to evaluate the impact of the ‘Thinking While Moving in English’ (TWM-E) program on children’s physical activity, on-task behavior in the classroom, academic achievement, and executive function. Grade 3–4 children from 10 public schools in New South Wales, Australia will be randomly allocated to intervention (n = 5) or control (n = 5) groups. All teachers will receive 1-day workshop of registered professional learning and a TWM-E equipment pack (e.g., chalk, lettered bean bags). Intervention schools will be asked to adapt their English lessons to embed movement-based learning in their daily program for three 40-min lessons per week, over a six-week period. The primary outcome is children’s physical activity levels across the school day (measured using accelerometry). Secondary outcomes are children’s on-task behavior during English lessons, academic achievement in English, and executive function. A detailed process evaluation will be undertaken including questionnaires, fidelity checks, and teacher and student interviews. The TWM-E program has the potential to improve primary school children’s physical activity levels, along with academic outcomes (on-task behavior, cognition, and academic achievement), and provide stakeholders with exemplar lessons and guidelines which illustrate how to teach English to children whilst they are moving. Date registered: 15/06/2018 retrospectively registered. The online version of this article ( https://doi.org/10.1186/s12889-019-6635-2) contains supplementary material, which is available to authorized users. Participation in physical activity in children is in decline, and this is a concern because physical inactivity is associated with a range of chronic illnesses such as obesity, high blood pressure, type II diabetes, and some cancers [1, 2]. Physical activity can also prevent mental health disorders (e.g., anxiety and depression), and enhance psychological health (e.g., well-being) [3, 4]. Additionally, improvements in physical activity and fitness have been shown to increase students’ school engagement, as well as enhance their cognitive and academic performance [5, 6, 7, 8]. Despite the numerous benefits of physical activity, very few children and adolescents are sufficiently active . National and international physical activity recommendations suggest that children should spend at least 60 min in daily physical activity to achieve optimal health outcomes [10, 11, 12, 13]. However, reports show that only 19% of Australian children and adolescents meet these recommendations [14, 15]. The International Society for Physical Activity and Health (2012)  considers schools as one of the best “investments” for promoting physical activity. School-based programs have been shown to increase children’s physical activity levels [17, 18]. A multi-component approach for encouraging physical activity in schools typically involves the delivery of quality physical education, activity before, during, and after the school day, as well as staff, family, and community involvement [17, 19]. However, the authors of two systematic reviews and meta-analyses concluded that the effects of school-based interventions on objectively measured physical activity are minimal [20, 21]. A possible reason could be that physical activity interventions are rarely implemented as intended, with teachers reporting that lack of time as the most common barrier [18, 22]. A recent systematic review proposed a conceptual model describing neurobiological, psychosocial, and behavioral mechanisms that may account for the positive effects of physical activity on academic outcomes in young people . Neuroimaging studies in children have examined the structural and functional brain changes associated with participation in physical activity. For example, the FitKids trial  found that children who participated in a 9-month physical activity program improved their performance on cognitive tasks and demonstrated more mature brain activation patterns in the right anterior prefrontal cortex. A range of psychosocial mechanisms (e.g., motivation, perceptions of novelty, and attitudes toward physical activity) have emerged as potential mediators of the effects of physical activity on academic outcomes. Although there is little experimental evidence, it is plausible that engagement in physically active lessons may increase students’ enjoyment and interest, and this may indirectly enhance learning. Pesce (2012)  suggested that goal-directed, cognitively demanding physical activity can activate the same neurons in the brain that are used to control complex cognitive processes. Finally, on-task behavior is a key predictor of academic success  and may explain the effects of school-based physical activity on children’s learning and academic performance. Growing evidence supports the positive effects of: (i) active recess (i.e., providing opportunities for students to be active during recess and lunch breaks), (ii) classroom physical activity breaks (i.e., short activity breaks delivered in the classroom, known also as energiser breaks), and iii) physically active lessons (i.e., lessons that integrate physical activity into other key learning areas), to increase students’ on-task behavior, academic achievement, and physical activity levels [7, 27]. Among these, the physically active academic lessons have been studied the least. Physically active academic lessons have the potential to increase children’s physical activity levels during the school day without compromising academic time [19, 27]. Concomitantly, embedding movement-based learning into academic instruction can enhance children’s learning performance [28, 29, 30, 31, 32, 33, 34, 35]. Physically active environments have also been shown to improve children’s executive functions [36, 37, 38]. Importantly, the core executive functions (i.e., inhibition, shifting, and updating ) are fundamental for children’s physical, emotional, psychological, and social development and have been linked with school readiness and academic success [40, 41, 42]. A previous iteration of the “Thinking While Moving program” in Maths (TWM published as EASY MINDS) aimed at numeracy, and a pilot version of the “Thinking While Moving in English” (TWM-E) produced promising results when physically active academic lesons are integrated during learning: The TWM in Maths program involved a successful randomized controlled trial (RCT), consisting of 3 × 60 min physically active mathematics lessons for six weeks . Compared with the control group, the intervention group showed higher physical activity during the Mathematics lessons, and on-task behavior. The program was rated as providing positive experiences for teachers and students, both in terms of enjoyment and engagement . A recent TWM-E feasibility trial was carried out in a single school for four weeks and all lesson plans were organized and delivered by the research team . Improvements favoring the intervention group were found in on-task behavior and spelling scores in Grade 4 students. Taking into account effective strategies and teachers’ feedback utilized in the previous “Thinking While Moving” programs the next phase will include a cluster RCT of the TWM-E. The study described in this protocol will extend the TWM in Maths intervention to English. The TWM-E intervention will involve integrating physical activity into English lessons in primary schools. Current curriculum recommendations in New South Wales (NSW), Australia require primary school students to spend 25–35% of a school week in English lessons, 20% in Mathematics and only 6–10% in Personal Development, Health and Physical Education (PDHPE ). Despite this strong emphasis on literacy, national and international assessments indicate that about one quarter of Australian students achieve literacy results at or below the minimum standards [45, 46]. There is clearly a strong rationale for reconsidering the design and delivery of literacy programs in Australian primary schools to reinvigorate English lessons with interactive movement-based learning, given the proportion of time children spend on this traditionally sedentary subject. Combining literacy curricula with physical activity may also have positive effects on both physical and cognitive outcomes (e.g., memory, attention, goal-directed behavior). The overall aim of this RCT is to evaluate the effect of integrating physical activity into English lessons on children’s school-based physical activity, on-task behavior, learning and cognition (i.e., executive function). What is the impact of the TWM-E intervention on the primary outcome, physical activity during the school day? What is the impact of the TWM-E intervention on the secondary outcomes, on-task behavior during English lessons, academic achievement in English and executive function? It is hypothesized that the TWM-E group will show improvements in all measures compared to the control group. TWM-E will be evaluated using a two-arm pararell group cluster RCT with an intervention and a wait-list control group. Stage 2 teachers (Grade 3 & 4) from 10 government primary schools of the Hunter Region, NSW, Australia will be invited to participate. Stage 2 includes the first year of the Australian National Assessment Program for Literacy and Numeracy (NAPLAN) testing in Grade 3 and thus it has been selected as the ideal time for teachers to consolidate identified literacy skills through increasing on-task behavior and engagement [47, 48]. Baseline data collection will occur in the school term preceding the intervention delivery (i.e., Term 2, May to June 2018). The intervention delivery will be conducted in Term 3 (i.e., July to September 2018). Post-test data collection will commence midway through Term 3 and will contintue until the end of the term. Ethics Approval has been sought and obtained from the University of Newcastle, Australia (No: H-2017-0240), and the NSW Department of Education (SERAP No: 2017368). The TWM-E trial is registered with the Australian and New Zealand Clinical Trials registry (ACTRN12618001008213). Schools will be randomly selected from a metropolitan area (within a 60 km radius of the University of Newcastle). School principals will receive an initial invitation letter followed by an email. Principals, teachers, and parents will need to provide written consent forms for each child to participate. The design, conduct, and reporting of the TWM-E program will adhere to the Consolidation Standards of Reporting Trials (CONSORT) guidelines and the extension for cluster RCTs . Participating schools will be stratified and pairs of schools will be matched according to their enrolment size and demographics (e.g., literacy program, socio-economic status and location), using the index of community socio-educational advantage (ICSEA). The ICSEA value includes data and information regarding family background (e.g., parental occupation, school/ non-school education achieved) provided to schools directly by families. Following baseline assessments, an independent researcher not involved in the project will use a random number producing algorithm to randomly assign each pair of matched schools to either control or the treatment condition. This method will ensure the same likelihood of allocation into one of the two study arms for all schools. Figure 1 shows the flow of participants. Schools in the waitlist control arm will continue with usual practice, which may include some schools pursuing other physical activity promotion initiatives. No restrictions will be made regarding schools’ participation in such programs, but they will be asked to provide details of their involvement. However, during recruitment, schools that are currently participating in physical activity programs run by the University (e.g., iPLAY ) will not be targeted for inclusion. Power analysis using procedures appropriate for a cluster RCT study design  were conducted to determine the sample size required to detect changes in the primary outcome of accelerometer-determined physical activity counts per minute (CPM). Calculations assumed baseline to post-test correlation scores of r = 0.30 and were based on 80% power and alpha level 0.05. Based on the reported physical activity effects (i.e., SD change = 200 CPM) after six weeks of the TWM in Maths study pilot study, and a conservative intra-class correlation coefficient (ICC = 0.15), a study sample of N = 200 with 8 clusters (i.e., schools) of 25 students would provide adequate power to detect a between group difference of 200 CPM across the school day [34, 52]. TWM-E will involve teachers adapting 3 × 40 min English lessons per week over a 6-week period. Movement-based learning will be incorporated during teaching selected curriculum from the NSW K-6 English syllabus. The program delivery will involve the following components: (i) full-day professional learning for teachers, (ii) TWM-E equipment pack, (iii) handbook for teachers with examples on how to incorporate movement-based learning into English lessons, (iv) online and PDF resources with lesson examples developed by the research team, (v) three observations with feedback per school by members of the research team during program implementation, which will also function as a fidelity check, and (vi) weekly newsletter emails providing implementation strategy support (i.e., separate advice and tips per school based on observations by the research team). Firstly, participating teachers will attend a full-day professional learning workshop conducted at the University and delivered by the research team. The professional learning day will be registered and accredited with the National Educational Standards Authority (NESA ; NSW Department of Education, 2017). Teachers will earn professional learning hours towards their teacher accreditation (Highly Accomplished Standards 1.2.3, 2.5.3, 4.1.3, 6.3.3). The purpose of this workshop will be to help teachers familiarize themselves with the process of integrating movement-based learning with appropriate English syllabus content. A training model is useful for the dissemination of key knowledge to be used in the intervention. The mentoring model [54, 55] is underpinned by situated learning theory  and contextualizes the theoretical content presented to teachers. A summary of the workshop’s content is presented in Table 1. The workshop is designed to equip teachers with the necessary skills and motivation to use physical activity as a teaching approach for the development of literacy skills, focusing on the benefits of physical activity on students’ engagement, academic and cognitive performance. Teachers will be familiarized through demonstration with activities and learning experiences and provided with resources to promote physical activity integration across the primary school English curriculum. A key focus will be maintained on the desired English outcomes from the current syllabus, and more specifically on spelling and grammar, which are content areas that benefit from rehearsal to consolidate learning. Activities will be aligned with NSW English syllabus. Example ideas, activities, and a potential lesson sequence can be found in Fig. 2. Following the completion of the professional learning workshop, participating schools will receive a teacher-selected TWM-E equipment pack (e.g., chalk, buckets, whiteboards, drill ladders, basketballs, skipping ropes, lettered beanbags, and lettered flexi domes - value $400 AU). Also, teachers will be given access to a website with online modules and movement-based activity examples (via videos) developed by the research team. The program will be delivered by the regular classroom teacher during the schools’ timetabled English lessons. Teachers will be encouraged to apply their knowledge from the professional development training to prepare and deliver physically active English lessons. All teachers will be emailed a weekly newsletter offering tips and strategies, and will receive three visits during Weeks 1, 3, and 5 of the program. During Weeks 2, 4, and 6, evaluation with feedback will be provided to the teachers by the research team attending while observing the physically active English lessons. 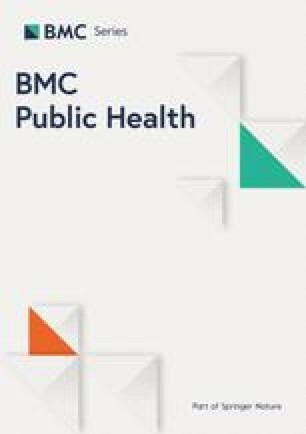 Considerable concerns have been raised from the public health research sector regarding the design and development of interventions that are not feasible to be adopted and implemented in real world settings . A particular emphasis on school-based physical activity has been placed in the state of NSW, Australia, in which government policy requires public schools to offer 150 min of planned physical activity across the school week . TWM-E has been requested by the NSW Department of Education and has been designed to maximize scalability and sustainability. As recommended in the Consolidated Framework for Implementation Research (CFIR), the intervention will target schools, principals, teachers, and students . A summary of the TWM-E components are presented in Table 2. Several implementation strategies have been designed to support the delivery of the TWM-E program including: i) intervention characteristics, ii) outer setting (i.e., educational authorities), iii) inner setting (i.e., schools), iv) characteristics of teachers, and v) implementation process. The research team will conduct three observations of the TWM-E lessons in weeks 2, 4, and 6 using the evaluation Checklist. The research team will be available for the teachers throughout the duration of the presentation. Weekly emails including advice and strategies will be sent during Weeks 1, 3, and 5 of the intervention. Teachers will present the TWM-E (e.g., objective and program details) pedagogy during their staff meetings. Schools will be provided with a TWM-E equipment pack selected by the participating teachers to assist in the delivery of the program (e.g., chalk, buckets, whiteboards, drill ladders, basketballs, skipping ropes, lettered beanbags, and lettered flexi domes - value $AU400). TWM-E lessons will be run during curricular English time by the regular school teachers. The TWM-E lessons will last for 40 min. Consenting students will be assessed at two time points using identical measures (baseline and 3-months). Trained research assistants will collect student level assessments, and where possible the same assessors will be used for both time points. Research assistants will be blinded to schools’ allocation to the conditions. More specifically, on-task behavior, followed by the cognitive assessments will be conducted by research staff on the same day at the same time for each time point (i.e., Monday, 9:00 am, baseline and posttest). To avoid participant burden, academic achievement tests will be administered by the classroom teachers on a different day using a standardized data collection protocol given to the teachers by the research team. Students’ demographic information characteristics will be collected at the end of the intervention. The primary outcome will be children’s physical activity levels during the school day. Objective measurements of intensity and physical activity levels (i.e., counts per minute) will be obtained using tri-axial wrist-worn accelerometers AX3 (Axivity, York, UK). AX3 accelerometers have been found to be a valid and reliable tool for measuring movements  . Accelerometers will be distributed on Monday morning and will be collected Friday afternoon. They will be worn for five consecutive school days from 9:00 am to 3:00 pm. Teachers will be trained to assist their students with placement of the accelerometers. They will distribute and collect the accelerometers daily which will be coded for individual students. Accelerometer data will be downloaded in raw format using OmiGui Software and processed in R software (http://cran.r-project.org/) using the software package GGIR . Data extracted between Monday – Friday (9 am – 3 pm) will be retained for the analysis. Non-wear time will be classified within a 60-min time window if for at least two out of the three axes . Data will be reduced by calculating the average gravity-based acceleration units (g), per 1-s epoch, with daily time spent in moderate-to-vigorous physical activity (MVPA) determined using the sum of epochs averaging above 142 mg . The average minutes spent in MVPA per day and average daily wear time will be computed using data from each participant’s valid days. A valid day will be defined as > 5 school hours on any given day , with participants included in the analysis if they wear the monitor for at least 3 days . Time spent on-task during English lessons will be observed using momentary time sampling, reported as a percentage of time, categorized as “on-task” (consisted of “actively engaged” or “passively engaged”), and “off-task” . Active engagement refers to the time a child is actively engaged in an academic activity (e.g., reading, writing, or performing the designated task), rather than passive engagement (i.e., looking at an appropriate target (e.g., the teacher) but not actively engaged in the activity). Off-task behavior is related to behavior not associated with the task (e.g., off-task motor behavior, walking around the class, off-task verbal behavior, chatting, or off-task passive behavior, staring in the class [34, 67]. This observational tool has been adapted from the “Behavior Observation of students in schools” and the “Applied Behavior Analysis for Teachers” [66, 68]. Twelve students (6 boys, 6 girls) will be observed during their English lessons (e.g., 9:00–11:00 am) in 15 s intervals on a rotational basis over a 30-min period in the allocated English time slot. Two lesson observations per school at each time point will be included. Two trained research assistants will observe simultaneously, after receiving a 2-h training focusing on identifying and classifying behavior into the appropriate categories, and a practice trial. The standardized test “Progressive Achievement Test (PAT)” will be administered in the classroom under 30-min of exam conditions, based on the Australian Curriculum for Education Research (ACER) recommendations . This battery includes different assessments for written spelling (30 items) grammar and punctuation (35 items). Cognitive assessments will be measured using the National Institute of Health (NIH) Toolbox Assessment of Neurological and Behavioral Function for 7–17 years (www.nihtoolbox.org), installed on iPad devices . This is a validated instrument for children between 3 and 15 year-old  and includes measures of attention, cognitive control, episodic and working memory, language, and processing speed. ). Congruent trials elicit faster and more accurate responses that incongruent trials [72, 73]. Four practice trials are presented prior to the assessment . Twenty trials are conducted for ages > 8. The test takes approximately 3–5 min to administer. The Dimensional Change Sort Test measures two dimensions of cognitive control: concept formation (i.e., the ability to identify and respond to a specific task-set) and cognitive flexibility (i.e., the ability to use feedback to switch between different task-sets). Participants are presented with stimuli that can be classified according to two dimensions (e.g., shape and colour). They are required to sort the stimuli using one dimension (e.g., trucks vs. cars) irrespective of colour. After a certain number of correct trials, they are required to change rules and sort the stimuli using the other dimension (e.g., red vs. blue pictures). Students are given three practice trials which are directly followed by the examination . This test takes approximately 4–6 min to administer. In both cognitive measures, scoring will be based on a combination of accuracy and reaction time . Accuracy and reaction time are calculated via a 2-vector scoring method: each of these “vector” values range between 0 and 5, and the computed score that combines the vector scores ranges from 0 to 10. If participants’ accuracy levels are ≥80%, the final “total” computed score is equal to the accuracy score. If participants’ accuracy levels reach < 80%, the accuracy and reaction time score are combined . The uncorrected standard score will be calculated for both cognitive measures, using a standard score metric (normative mean = 100, SD = 15). Participants’ overall level of cognitive functioning will be compared with the entire NIH toolbox U.S. representative normative sample, regardless of any demographic characteristics (e.g., age, gender). High scores indicate higher performance . The feasibility of the TWM-E program will be assessed using a range of measures including adherence, as well as teachers’ and students’ satisfaction. The following aspects of intervention implementation will be evaluated : (i) Fidelity and quality: we will conduct three lesson observations per teacher during the program period using a semi-structured observation checklist (Table 3), (ii) Responsiveness: teachers’ evaluation of the TWM-E workshop, resources and their own lessons, and (iii) Adaptation: teachers’ modifications of TWM-E program resources (Additional file 1). Adherence (how many teachers completed program components): During the intervention period, teachers will be provided with weekly support, including advice and strategies by the research team during Weeks 1, 3, and 5 of the intervention. The lessons will also be observed during Weeks 2, 4 and 6, focusing on physically active English concepts (n = 3), activity levels (n = 3), and students’ engagement (n = 3). During the lesson observations, components of the workshop regarding English content and physical activity (i.e., engagement and activity levels) that will be adopted and adapted to the classes will be assessed through an evaluation checklist (see Table 3). Teacher satisfaction: After the completion of the professional learning day, teachers will respond to the questionnaire assessing their perceptions on the skills acquired from the training, satisfaction and quality of the training, and their confidence to deliver physically active English lessons (Additional file 1). Teachers’ responses will be recorded answering on a 5-point Likert scale ranging from 1, ‘strongly disagree’, to 5, ‘strongly agree’. They will also have the opportunity through an open-ended response to provide the research team suggestions for improving the workshop and/or the program. Teacher and student satisfaction: At the end of the 6-week intervention, students will complete an anonymous evaluation questionnaire of their perceptions of physically active English lessons both on enjoyment and perceived learning (Additional file 1). Responses will be ranked on a 5-point Likert scale ranging from 1, ‘strongly disagree’, to 5, ‘strongly agree’. Finally, at the end of the program, teachers and students will be invited to participate in semi-structured interviews (teachers) and focus groups (students) regarding their perceptions of the program (i.e., nature and quality of English lessons prior to and after the program, whether the TWM-E approach influenced their perceptions related to English and physical activity promotion; See Additional file 1). These measures will be adapted from the previously developed evaluation tools from the TWM program . Primary and secondary outcomes will be analyzed through linear mixed models, as they are robust to the biases of missing data and provide appropriate balance of Type 1 and Type 2 errors [77, 78]. Taking into account the hierarchical structure of the data in educational research (e.g., students nested within classes and schools), multilevel modelling analyses can be linked to several predictor variables at the individual level (e.g., students) and at a group levels (e.g., classrooms, schools [79, 80]). In this study, the models will be specified to adjust for the clustered nature of the data (i.e., class level was included as a random intercept) including all randomized participants in the analysis. Previous studies have shown that school-level clustering is negligible after accounting for clustering at the class level . Analyses will be conducted using SPSS (version 22) and alpha levels will be set at p > 0.05. Data will be analyzed according to intention-to-treat principles. Qualitative data from teachers and students semi-structured interviews will be processed using a standard general inductive approach to qualitative analysis [82, 83]. Data will be transcribed verbatim, and then will be coded using thematic analysis. The primary aim of this study is to assess the impact of a curriculum-based physical activity intervention program, integrating physical activity into English lessons, on children’s physical activity levels. The secondary aims are to examine the impact of the program on children’s on-task behavior, academic achievement in English and executive function. The program will be delivered by classroom teachers, after receiving 1-day professional learning workshop. Previous intervention programs that integrate physical activity during learning have been shown to increase physical activity levels and are perceived as the preferred instructional method by children [28, 30, 31, 32, 34, 35, 43]. In addition, these programs have found positive effects on children’s academic achievement (e.g., language [26, 29, 33, 84, 85]). Using task-relevant movements which can be translated into academic concepts is suggested to be an effective way of learning due to the mental connection of the physical with the cognitive task . Likewise, physical activity interventions have been proven to foster executive function skills in children [36, 86, 87]. Specifically, cognitively enriched physical activity programs, including chronic physical activity with cognitive training, have found improvements in primary school children’s shifting performance [38, 88], inhibition and updating . Inhibition and shifting were also improved in adolescents through acute effects of exercise (i.e., single bouts [36, 89]). Lastly, the current physical activity intervention emphasizes the significant role of the teacher on intervention outcomes . The provision of high-quality professional learning development to teachers is necessary for promoting fundamental changes to occur in children’s physical activity [91, 92]. Giving flexibility to teachers to design and develop their learning lessons based on a movement-based curriculum will possibly increase sustainability of the program and allow teachers to integrate it across other grades and curriculum areas. The cluster RCT design is a significant strength of this study, including quantitative and qualitative measures to explore the program feasibility. In addition, the program was designed based on previous successful studies [34, 43]. The protocol of the study includes detailed process evaluations taking into account students’ and teachers’ point of views. Identifying strengths, but also challenges and barriers, will ensure that the physical activity programs combined with academic instruction are addressing students’ and teachers’ needs with the perspective of a longer-term implementation even after the end of the intervention duration. Such programs, including stealth interventions, are considered the most effective way to foster physical activity . Concluding, the current study may provide time-constrained solution for schools focusing on the dual goal of increasing physical activity and academic achievement. The suggested instructional approach of TWM-E allows educators to decide how to implement these activities in the classroom based on shared quidelines. This flexible implementation increases the likelihood that the program will be adopted by other teachers, overcoming existing barriers, and promoting the dissemination of this study in primary schools across Australia. The partnership with the NSW Department of Education School Sport Unit increases the sustainability of this program in the long-run. Department of Education (New South Wales, Australia), Premier’s Sporting Challenge, as part of the School Sport Unit’s program to support teacher professional development. The funding body has registered the Professional learning component of the study. The funding body will cover for teachers’ casual relief but will not have any role in the study design, data collection, analysis and interpretation of results. NR, DRL, PJM, CL, & NE contributed to the conception and design of this project. MFM was involved in drafting the manuscript, will conduct the data collection, and analyses. NR, MN, and KS contributed to the construction of the English contents. FK contributed to the conception and design, and will provide the equipment of cognitive measures. AM will provide the physical activity equipment, coding, and analysis of physical activity data. NR, DRL, PJM, CL, NE, AM, KS, MN, FK, MFM contributed to revising the manuscript for intellectual content. All authors read and approved the final manuscript. Research has been performed in accordance with the declaration of Helsinki and has been approved by University of Newcastle, Australia Human Research Ethics Committee (No: H-2017-0240) (https://nhmrc.gov.au/about-us/publications/national-statement-ethical-conduct-human-research-2007-updated-2018#block-views-block-file-attachments-content-block-1), and the New South Wales Department of Education (SERAP No: 2017368). Janssen I, LeBlanc AG. Systematic review of the health benefits of physical activity and fitness in school-aged children and youth. Int J Behav Nutr Phys Act. 2010;7(40). https://doi.org/10.1186/479-5868-7-40. Australian Government Department of Health. Australia’s physical activity and sedentary behaviour guidelines 2017 [cited Commonwealth of Australia]. Retrieved March 18, 2019 from: http://www.health.gov.au/internet/main/publishing.nsf/content/health-pubhlth-strateg-phys-act-guidelines#npa05. Canadian Society for Exercise Physiology. Canadian 24-hour movement guidelines Ontario, Canada. 2017. Retrieved March 18, 2019 from: http://csepguidelines.ca/. Centers for Disease Control and Prevention. Cancer prevention and control. Current physical activity guidelines. Atlanta, USA2016. Retrieved March 18, 2019 from: https://www.cdc.gov/cancer/dcpc/prevention/policies_practices/physical_activity/guidelines.htm. World Health Organization. Physical activity Geneva, Switzerland. 2018. Retrieved March 18, 2019 from: https://www.who.int/news-room/fact-sheets/detail/physical-activity. NSW Education Standards Authority. Stage Statements and time allocation kindergarten to year 6 2018. 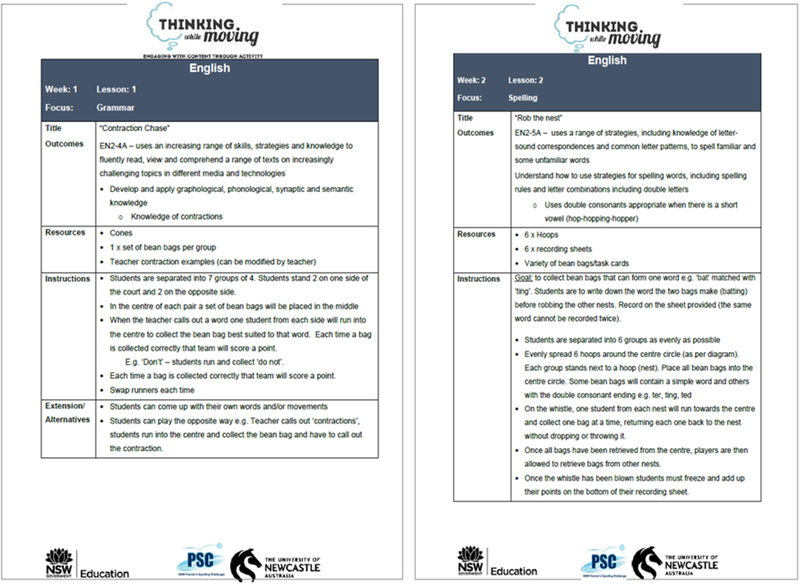 Retrieved March 18, 2019 from: http://educationstandards.nsw.edu.au/wps/portal/nesa/k-10/understanding-the-curriculum/curriculum-syllabuses-NSW. NSW Department of Education. Literacy and Numeracy Strategy 2017–20. 2017 Retrieved March 18, 2019 from: http://www.dec.nsw.gov.au/about-the-department/our-reforms/literacy-and-numeracy-strategy. Moher D, Hopewell S, Schulz KF, Montori V, Gøtzsche PC, Devereaux PJ, et al. CONSORT 2010 explanation and elaboration: updated guidelines for reporting parallel group randomised trials. BMJ. 2010;340. https://doi.org/10.1136/bmj.c869. NSW Department of Education. National Education Standards Authority Accreditation (NESA) 2017. Retrieved March 18, 2019 from: https://education.nsw.gov.au/about-us/jobs-and-opportunities/school-careers/teachers/nesa-accreditation. NSW Department of Education. Policy library. Sport and physical activity policy 2018. Retrieved March 18, 2019 from: https://education.nsw.gov.au/policy-library/policies/sport-and-physical-activity-policy. Health Measures. NIH Toolbox. 2018. Retrieved March 18, 2019 from: http://www.healthmeasures.net/explore-measurement-systems/nih-toolbox. Slotkin J, Nowinski C, Hays R, Beaumont J, Griffith J, Magasi S, et al. NIH Toolbox scoring and interpretation guide [Measurement instrument]. National Institutes of Health and Northwestern University; 2012. Retrieved March 18, 2019 from: https://www.epicrehab.com/epic/documents/crc/crc-201307-nih-toolbox-scoring-and-interpretation-manual%209-27-12.pdf. Riley N, Lubans DR, Holmes K, Morgan PJ. Rationale and study protocol of the EASY Minds (encouraging activity to stimulate young Minds) program: cluster randomized controlled trial of a primary school-based physical activity integration program for mathematics. BMC Pub Health. 2014;14(819). https://doi.org/10.1186/471-2458-14-816.